McDonald's new special! Unicorn meat! Two pussies fight over their Happy Meal toys. 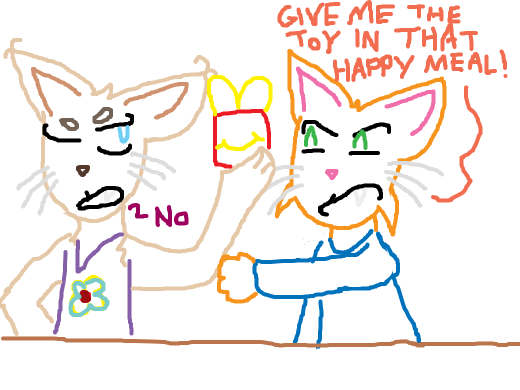 Orange cat wants the toy in the brown cat's Mcdonald's (TM) Happy Meal (TM). McDonald's Chicken McNuggets cause Neurofibromatosis. It is a tumor disorder that is caused by the mutation of a gene on chromosome 17. Welcome to McCancer home of the Chemo-Burger.